Check out our Youtube channel!!! At all three universities, there are many courses offered in English. You also have the option of taking a Norwegian Language course. 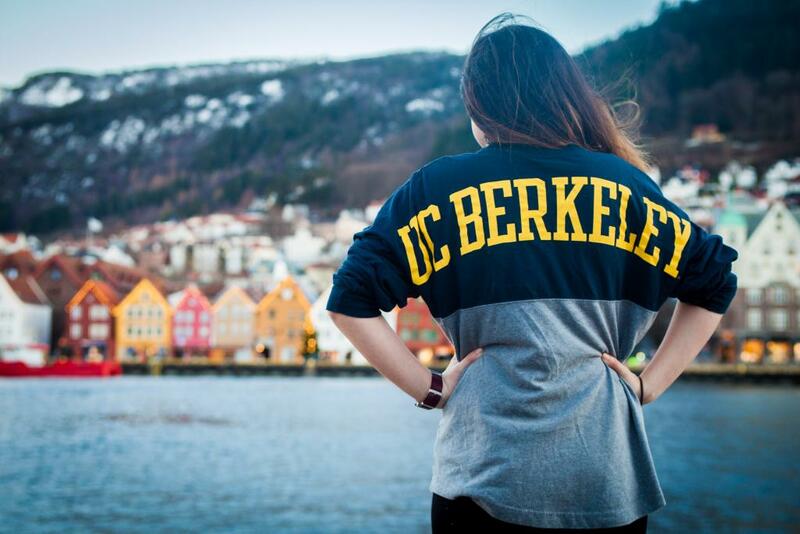 The Study Abroad in Norway program is considered by UC Berkeley as an “Independent” or “Consortium” Study Abroad program. This program is not eligible for financial aid. The Department of Sociology does provide scholarships to students participating in the program. In return, we do ask that you agree to completing a service commimment in which you help us promote the program. You do not need to be a Sociology student to be eligible for the scholarship. Norwegian universities do not charge tuition for Fall terms, Spring terms, or academicy year long programs. However, if you attend UiO International Summer School, you will pay tuition. Below are the estimated cost for attendance. Please note that the following budgets do not include the cost of airfare, residence permit (required if you will study in Norway longer than three months, or a visa if needed). 2a) UiO provides a budget for a Fall/Spring semester. 2b) IUiO International Summer School. The 2018 fees are listed here. Please click here for a currency converter. If you participate in the Study Abroad in Norway program and will return to UCB the following term (participate in Fall and return in Spring or particiate in Spring and return in Fall), you will need to submit a Planned Leave of Absence to the Berkeley Study Abroad Office. This form allows you to take a leave of absence and then return the following semester. This form requires that you meet with a counselor from the Office of Undergraduate Admissions, Financial Aid counselors from 160 Stephens Hall, your College adviser and/or Major adviser. This process can take several weeks to complete, so please plan accordingly. There is a $70 fee for submitting the form which will be charged to your billing account. You can find the form here. 2) If you are applying to UiB or UiO (Fall, Spring) Seng Saelee will nominate you. For NTNU, you can apply directly to the university; although you will still be required to submit the Preliminary Application for Study Abroad. Ashley Torres is a second year Sociology major and photographer currently studying abroad at the University of Bergen in Norway until June. Her studies abroad include a course on Scandinavian Politics and Government as well as a course on Life Courses in a Scandinavian Welfare State. 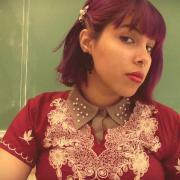 She hopes to pursue a PhD in Sociology after she finishes her undergraduate career. Going abroad has always been part of my image of college. I wasn’t sure where I wanted to go, but it was important for me to go. Graduates who I speak with often say that not going was their biggest regret or their most impactful growing experience. Funding and lack of time are often two major concerns for students, and as a transfer student, I was no different. However, with the Sociology Department’s generous scholarship and the guidance of Seng Saelee and Professor John Kaiser, studying in Bergen, Norway seemed like a feasible option and a perfect fit. I deeply value equitable education policies and access to nature, both of which are present in Bergen. The generous welfare state of Norway contributes to the successful education system also seen in other Scandinavian countries. I’m excited to explore how the education policies work in person compared to my academic experiences in the U.S. As nature is also important, I live near great hiking places with phenomenal views. With that said, studying abroad in Bergen, Norway allows me grow as an involved community member, student at Cal, and an engaged member of the world. Check out Cathlean's blog here. 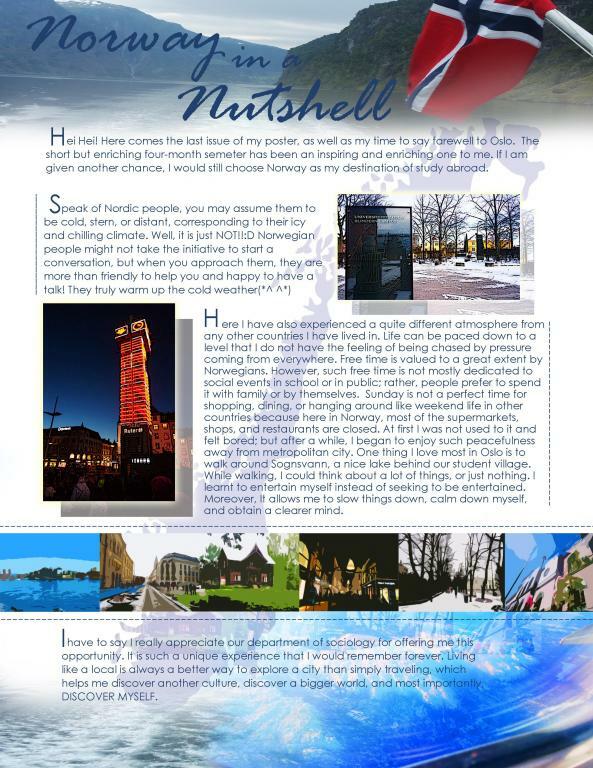 Dasom has created a blog in which she will share her experience study abroad in Norway. Please click here to read her blog. 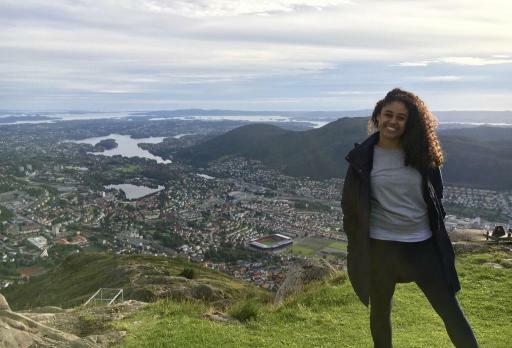 "As a transfer student, the study abroad program at the University of Oslo seemed like an ideal way for me to spend my summer. Because transfer students have such a short time here at Berkeley, it can be difficult to take advantage of the wealth of opportunities that exist. Studying abroad is something I’ve always been interested in but I had concerns about the cost and whether I’d be able to fit it into my time here. Fortunately, the program and scholarship offered through the Sociology department allows me to experience study abroad without taking away from the time I wanted to be at Cal while at the same time offsetting a huge portion of the cost. Since taking Sociology of Health and Medicine (taught by the awesome professor Laura Nathan), I’ve been intrigued by welfare states such as the one that exists in Norway. The policies and value system inherent in the Scandinavian countries are very appealing to me and I want to learn as much as I possibly can about them and how (and if) they function as successfully as it appears from the outside looking in. A unique thing about the summer program at the University of Oslo is that it is a part of the International Summer School there, which means I’ll be living and taking courses with students from all around the world. Taking “The Norwegian Welfare State” at the University of Oslo is a dream come true for me and I can’t wait to immerse myself into the culture"
" Hey ya'all, this is Fabiola Rivera, Sociology major and fifth year student. I am beyond excited to have this opportunity to travel abroad as it will be my first time ever going to Europe. I chose Norway in particular because I am deeply interested in its Welfare state and how successful it has been. My focus in disabilities studies also further enhances my interest in the Nordic Welfare State to see the manner in which the disabled population has been affected in this Welfare democracy. That is not to say academics are my only reason for studying abroad. The chance to become familiar with another culture, and taking in consideration the history this part of the world, is a valuable experience to me. Additionally, I am looking forward to exploring the Norwegian landscape. The fjords are absolutely breathtaking and with a relatively small population, in Norway you sure to experience what nature has to offer even in the city. I'll be documenting my trip in photographs and video so you might get a sneak peek at what Norway has to offer. Ha de bra!" 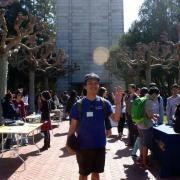 than a semester at Berkeley, but the application deadline was much later than most other programs. The scholarship from the Sociology department offset a large portion of the costs for me. Though the cost of living in Norway is one of the highest in the world, they make up for it by providing education for free! From what I’ve seen in pictures, Norway is a beautiful country. From what I’ve heard from students, Norway is a fun place to be. I can’t wait to explore the gorgeous countryside, dumpster dive, and meet my classmates. 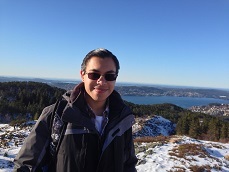 My name is Kevin Guzman and I studied abroad in Norway in the spring semester of 2013! As a Sociology student, I have developed a strong interest in Scandinavia and the idea of the welfare-state and when I heard about the opportunity to study abroad in Norway, I jumped at the chance to travel there to experience life in a Scandinavian country! Having taught myself Swedish for a few years, I had my heart set on studying in Sweden; however, the opportunity to study in Norway through the Sociology department was just too great to pass up! Even though I was not in Sweden, my language skills did increase as Norwegian and Swedish are mutually intelligible; but, this should not stop any interested students! All classes are taught in English and nearly everyone in Norway speaks English! I chose to study at the University of Bergen. As Norway’s second-city, Bergen was a fantastic choice as it was a large city with a small-town feel. The city was very walkable and public transportation was efficient. Student-housing for international students was guaranteed and I lived in a fantastic student dorm called Fantoft. Serviced by Bergen’s excellent light-rail train, it was only a twenty minute commute into the heart of the city! I lived with a wonderfully diverse group of European students and we became family! We hiked together; sailed around the bay together; we cooked and ate dinner together; we studied together; and these are the best memories of studying in Bergen! Studying abroad was the best experience I had at Cal and I recommend all students to look into studying abroad in Norway! If any of this sounds exciting or if you want to know more about Norway, please have Seng Saelee put you in contact with me! I would be happy to give you more information. I was intrigued with Norway since I learned more about their politics and lifestyle unique to the Scandinavian Countries. My background of Sociology and Comparative Politics really make Norway an attractive country in terms of comparing their lifestyle, politics, and ethnic diversity to the United States and other parts of the world. I am interested in learning more about countries that aren’t typical destinations for students to explore when you think of studying abroad. The department of Sociology sparked my interest with this great program, especially when seeing many Norwegian students at Berkeley enjoying themselves and sharing how their political systems and social compositions are contrasted to the ones in the USA. Even though I now have the privilege of graduating from one of the most prestigious Universities in the world, I want to be able to branch out and experience the theories studied in my courses on a first hand basis. Going to study in Norway would be an amazing educational experience where I will be able to continue to learn about different cultures while physically experiencing the country. Sociology has given me the advantage of having a wide background on issues that contribute to our stratified society. I have been interested in foreign affairs and how different countries politics affects the welfare of its residents. Being exposed to a country outside of the USA will be an enriching experience in my quest to be in a much better position to think strategically while working within organizations. This abroad experience would enhance my aspiration of being in a managerial role in order for me to advocate and push for the improvement of businesses and policies within the government sector, as I will add another perspective studying Norway. I will make sure to both learn and contribute perspectives on the topic being studied in order to create a strong intellectual and humbling experience not only for myself but also for my peers.